Is the LG Viewty a real iPhone rival? We've just reviewed the LG Viewty - one of a very small number of phones that have been touted as realistic competitors to the Apple iPhone. The iPhone's distinctive looks are a major attention-grabber, but the Viewty is no shrinking violet itself. In fact, to quote our review, it's "one of the best-looking phones we've seen". Its 5-megapixel camera is one area where it comprehensively trumps the iPhone. Turn it on its side and it bears a remarkable resemblance to a compact camera, and has some excellent software to boot. The iPhone's undoubted trump card is its touchscreen, and the multi-touch functionality that goes with it. The Viewty's 3-inch LCD touchscreen isn't as advanced as Apple's technology, but it's not half bad. The big screen also makes the Viewty well suited to web browsing. Better than the iPhone? That's probably a matter of personal opinion. The interface and the touchscreen lag behind Apple's smartphone, but the iPhone lacks 3G connectivity and only has a 2MP camera. 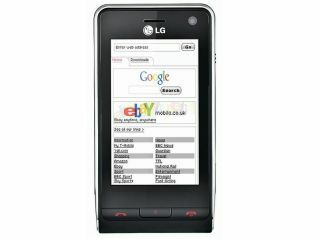 Read the reviews of the LG KU990 Viewty and the Apple iPhone and decide for yourself.